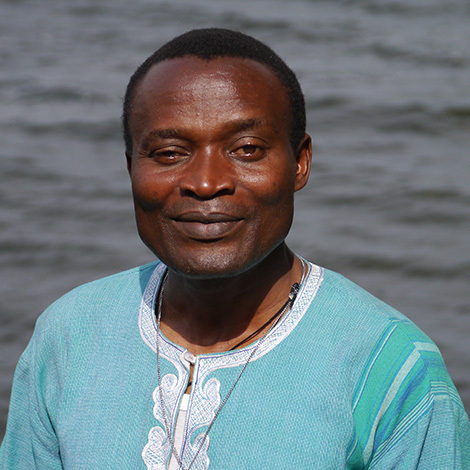 Over a period of 17 years Father Boniface has worked within the Diocese of Masaka in southern Uganda in order to provide educational opportunities to children in poverty. He is currently based in a Christian compound where he is supported in this work by a Ugandan Committee for EVC Uganda. On top of normal parish duties much time is spent visiting and supporting the schools, meeting the many poor families in his country parish and generally seeking support for his work. Father Boniface's working day is a constant battle against poverty and disease and the impact of witchcraft and polygamy. He travels about in very rough terrain using dangerously unsuitable vehicles, his working day often starting at 7am and finishing at 10pm. Two trustees accompanied him for a month and the schedule was long, punishing and tiring. Such a schedule resulted in Father recently suffering from another bout of malaria. In the last few years, Father Boniface has visited Bedford, England on a number of occasions and whilst here has sought to gain support for his work. Gradually it became obvious that a more planned and managed programme of support for his work was needed in order to make any headway in meeting the overwhelming needs of the children in his care. For this reason a group of people formed a Charity called "Empowering Vulnerable Children ( EVC ) Uganda" which gained official charity registration in August 2014.